Bankruptcy Attorney Reviews - Grand Rapids MI - The Grand Rapids Bankruptcy Attorneys at Krupp Law Offices Can Answer Your Bankruptcy Questions. Free Consultation. If you are looking for a good bankruptcy attorney, we can help. We can answer your bankruptcy questions and explain all your options at no cost to you. There are a number of bankruptcy attorney review sites that make money from attorney advertising. Do not use these sites as your only source of finding the right bankruptcy attorney for you. 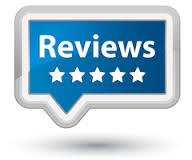 These site can have solicited reviews or fake reviews that are not from real clients. The negative reviews can be misleading. There will always be the one in thousand people that are unhappy regardless of the quality of services. They are chronically critical and abuse review sites. The best way to select a bankruptcy attorney that is right for you is to speak with them on the phone and discuss your situation. make sure you feel comfortable with the bankruptcy attorney that you choose. If you are facing a bankruptcy, We would be more than happy to discuss it with you at no cost or obligation. Please call the Grand Rapids Bankruptcy Attorneys at Krupp Law Offices PC.